As we've written about often here at PeakProsperity.com, much of what's been 'sold' to us about the US shale oil revolution is massively over-hyped. The amount of commercially-recoverable shale oil is much less than touted, returns much less net energy than the petroleum our economy was built around, and is extremely unprofitable to extract for most drillers at today's lower oil price. To separate the hype from reality, our podcast guest is Arthur Berman, a geological consultant with 34 years of experience in petroleum exploration and production. The EIA looks at the US tight oil plays and they see maybe five years before things start to fall off. I think it is less, but I am not going to split hairs. The point is that what we found is expensive and we have got a few years -- not decades -- of it. So when we start hearing people pounding the table about how the United States should lift the ban on crude oil exports, well that is another topic if we are just talking about free trade and regulation, but what in the world is a country like ours doing still importing 5+ million barrels of crude oil a day and we have got maybe 2 years of supply from tight oil? What are we thinking about when we claim we're going to export oil? That is just a dumb idea. It is like borrowing money from a bankrupt person. I'll tell you what they're thinking about: the companies are thinking it is easier for them just to sell the oil directly overseas than it is to go through all the hassle of having to blend it with heavier oil and refine it here in the US and then go sell it overseas, as they have to do today. Anyways, I think you just have to be realistic. Let’s give ourselves credit for ingenuity. We have done something that a few years ago probably almost no one thought was possible. But let’s also be realistic: this is the most mature petroleum province on earth. We are squeezing blood from a stone and as long as prices are high, we will squeeze a little more. And that’s it. I like to talk about these shale plays as not a revolution, but a retirement party. I mean, you know, this is the kind of bittersweet celebration you have when you are almost out the door and are going to sit around the house and watch Duck Dynasty whatever for your remaining days. It's not really cause for a celebration. It is cause for some sobering concerns and taking stock about what does the future have in store for us as a country, as a world? Chris Martenson: Welcome to this Peak Prosperity podcast. I am your host, Chris Martenson. You know, we talk about the Three E’s all the time here, that’s our focus. The economy, energy and the environment. And as you well know, my view is that knowing about where we are in the energy story is more important than tracking the economy closely. The economy is a subset of energy, not the other way around. No energy, no economy. It’s really that simple. Now digging a little deeper we know that it’s the energy returned on the energy you invest that provides the surplus energy upon which every single facet of our sophisticated, technological, mobile and abundant lifestyles depend. Recently, there have been a number of energy narratives dominating the US and global airwaves that really should not go unchallenged. I am very excited to have today’s guest on because I know of nobody that has been doing a better job of unpacking the complexities and tracking the realities of the oil portion of our energy story. Coming to us from Sugarland, Texas—what better location, right?—is Arthur Berman, a geological consultant with 34 years of experience in petroleum exploration and production. He has published over 100 articles on petroleum geology and technology, made 25 presentations just in the last year to professional societies, investment conferences and companies, and is currently consulting for several E&P companies and capital groups in the energy sector. You might have seen him on CNBC, CNN, or in Platt’s Energy Week, BNN, Bloomberg, in the Financial Times, New York Times, he has been there. Arthur, thank you so much for joining us. Arthur Berman: It’s a pleasure to be with you, Chris. Chris Martenson: So let’s start with the shale oil narrative. It goes something like this: US ingenuity and technological breakthroughs have unlocked vast amounts of oil. So much that the world supplies are now swamped and in reaction the price has plunged by more than 50%. Saudi Arabia is fighting to preserve market share by refusing to cut production so that they may gain a longer term advantage over US producers. Anything wrong with that narrative? Arthur Berman: Well, there is everything wrong with that narrative. Of course everything in that narrative has some basis in truth or it wouldn’t be the storyline that it is. But let’s start with the vast resources of new oil that have been unlocked by shale or tight oil production. You know, if you look at any kind of reasonable assessment of the plays—and there is really only two of them, it’s the Bakken Shale in North Dakota and the Eagleford Shale in South Texas. The Permian certainly is producing a lot of oil, but it is kind of another story we can talk about later. And the reason it is another story is because the reserves just aren’t really there. But if we look at the Bakken and the Eagleford and we look at the proven reserves that anyone can find on the EIA Energy Information Administration’s website and we look at both the proven and the proven undeveloped, which basically are still not drilled yet, what we find is a big surprise and that is that we have only got something like two years worth of production left given current US consumption. To listen to the kinds of things that we hear on television and the radio and read in the newspapers you would think we've got decades and decades of production. But the numbers just aren’t that big, Chris. We are talking about 10 billion barrels of oil from all of the tight oil plays. That’s not my interpretation. Those are the published proven, plus proven undeveloped reserves based on the latest information we have. Well, the United States uses about 5.5 billion barrels of oil every year. So 10 billion barrels from tight oil is less than two years. Those are the facts. We can talk about any other narratives or storylines you want but as far as I’m concerned that is the bottom line. And like I say, I am including the proven undeveloped reserves which have not been drilled and ordinarily my advice to companies is don’t put too much faith in proven undeveloped reserves because a lot of them won’t be there. Chris Martenson: And why won’t they be there? Arthur Berman: Because they’re not commercial. The way that the Securities and Exchange Commission generously rewrote the rules for booking reserves with the shale players—this was back in 2010—was that you can book anything as a proven undeveloped reserve simply by proximity. So in other words if you've got a track that is within a mile or two of a producing well, you can call that proven undeveloped. Now as we know from all oil and gas drilling, but particularly from shale oil and gas drilling, one location away—which is to say maybe 40 to 90 acres away—is always a big surprise. But a mile away, 640 acres away, you don’t have any idea what is out there because the rock is far from homogeneous. Even when we look at the core, the best areas, the sweet spots if you will of the shale plays, there is tremendous variability between closely spaced wells. That is why I say it is just – it is kind of a crap shoot for those proven undeveloped reserves. We will know when they are drilled and right now it is just a placeholder—a very generous placeholder, I might add. Chris Martenson: I think it was 2011 or maybe '12, I am losing track of time, I guess, but I remember reading a presentation by Continental Resources and they were talking about how in the Bakken they were going to do this down hole spacing. They were going to go down deeper into the Three Forks formations and they were going to claim they were going to have up to—I don’t know—20 wells per pad, per section. Do you know what came of that? Arthur Berman: Well, I haven’t seen any results that suggest that that is a reality. Here is the problem, Chris, I have seen similar kinds of fairy tales that have been presented for the Permian Basin by Pioneer National Resources and you know, so first, could you do that? Yea, absolutely, you could. I mean the technology exists to do it. Big question: What does it cost? The way these guys draw on their whiteboards and put all of these laterals stacked at different depths makes it look like a piece of cake—literally a piece of layer cake is what they call it. But each one of those wells still costs, you know, in the case of the Bakken $10 million. So you can do it, yea, you can do it. The question is does it make any money? Does it even break even? And that’s the part that is almost never addressed in the narrative that we are talking about. Is anybody even breaking even in these plays, much less making money, and what if they do what they are telling everybody they are going to do which is to drill these tiered multi lateral wells or they talk about infilling on 40 acre spacing or something like that. Again, the question is yea, you can do that but what does that do to your returns? What does that do to your profits? And they never want to talk about that. Chris Martenson: I want to talk about this profit side a bit because I have been very confused by what is going on there. So before we get to the actual company profitability maybe you can shed some light on this. With the run down in oil prices, the media was just swamped with various analyses coming from a variety of usually sell-side analysts saying "here is the all-in break even cost for play X, play Y, play Z" so you know they stack all the plays out. I never really understood what was involved in those break even analysis. Can you shed some light on that? When we are looking at those are we looking at truly the all-in, full cycle, self sustaining break even cost? Is this just the per well drilling cost? What are we looking at when we are looking at a chart that purports to tell us what the break even cost of a play is? Arthur Berman: Well, that’s the key question, Chris. It is like asking what does it cost. It is easy to say this is what it is. But what is involved? You know, what are your assumptions. Your point is dead on and that is: What costs have been included and what costs have been excluded? I have read all of those silly articles and basically, this is a pattern that we see. We saw it with shale gas when the price of gas dropped from $14 or $15 per thousand cubic feet first to eight and then to six and then to four. And every time the price goes down the companies have another fairy tale for why they are still going to make money or break even on the lower price. Well, we have seen the same thing as oil prices have dropped. When oil prices dropped to 80 we saw you know, a whole stream of articles saying oh well all of these companies can still make money at 80. And then it went to 70 and now they can make money at 70. Recently, I have seen some preposterous articles that say that some of these operators can make money at $20 or $30 a barrel. It’s bogus. The whole thing is bogus. So what they are doing for the most part is they are just telling you about point forward cost. They are just telling you—if their only costs were drilling and completion, then what price could they break even at? That’s fine. That is a measurement that is useful in some ways because companies have different amounts of debt and different amounts of overhead and differing levels of operating costs and all of that. But if you are really talking about a break even price, at the very least you have to include what are your lease operating expenses? What does it cost to do business out there, you know? You have people running around checking and metering wells and you’ve got royalties and taxes and transportation and gathering. Plus you got a whole company with employees and buildings. I mean yea, that stuff is not free and these oil and gas companies don’t have another profit center to charge it to so eventually it all comes back to the well. And then there is debt. Almost none of these companies have low debt. Most of the independents, their debt is something like 50% or more of their value and they have got to pay interest on that debt every month just like you and I do on whatever loans we have. Now you factor all that in and what you find is the best companies—and there are some good ones—in the very best parts of the plays are maybe breaking even at $95 or $90 a barrel. Now we did a study recently for a client where we looked at the core of the Bakken. The four counties that are the sweetest of the sweet spots and we looked at the top operators and we did the full analysis. And what we came up with was in that very best part of the Bakken you needed about $83 per barrel of oil equivalent to break even. Now the other thing that is bogus about these analyses is: Where do you get your reserve numbers from? I mean everybody who is listening to this knows something about economics and you got to have a number. What is your average well—you are saying your average well breaks even at Price X, well tell me what reserve number that is based on. Because if you are basing that break even price on a reserve that says you are going to make a million barrels of oil versus three quarters of a million, well the economics are going to be completely different and therefore the break even price is going to be different. And it is not just the reserves, it is the rates at which you produce that well. Are you going to produce that let’s say million barrels over 50 years? Are you going to produce it over five years? Because we are talking about the time value of money and the faster you get your money back the quicker you get out of your net present value hole in the ground. None of these things are ever discussed. And frankly, most of the so-called research analysis that is done—I think they just get their reserves from the companies. The companies just make up a story and tell them "okay our average well makes this much" and that is what they use. Now I go in and actually figure out what I think the most likely reserves are by doing the hard work, by doing the decline curve analyses and doing that. And once you have got the reserves and once you have got all the costs—and costs are publicly available. These companies give it to Securities and Exchange Commission. Then you can actually do the real work of figuring out where they break even and it is way above what you are hearing in mainstream media. Chris Martenson: Well, maybe this helps explain a conundrum confusion that I have had for a while. For years I have been tracking the financial returns of the largest shale operators. There are about 80 in my list that I look at. And specifically the cash flow statements because to me—they are supposed to be cash cows and this always comes back to the cash flow. If you want to know if a business is going to do well or not, are they producing positive free cash flows? And what I have seen there—and other people have commented on this as well; it is pretty well-known I think. I have even seen it printed in Bloomberg, but these companies have consistent negative free cash flows every year I have been tracking them including 2011, 12, 13 when oil prices were twice what they are. I’d love to get your take on this phenomenon. I mean is it – does it make sense that I should be concerned that a company that theoretically is doing a plumbing operation in the Bakken and is making money and breaking even theoretically at $50 a barrel that they were all sporting steeply negative free cash flows through what were arguably the best years? Arthur Berman: You got to look at that, Chris. I mean that’s absolutely critical. I look at it too. If you look at third quarter earnings we will get full year earnings here well, they are starting to come in now. February is usually the month. But yea, I see the same thing you do and that is that the very best of the companies in these tight oil plays—companies like EOG for instance—they are barely cash flow positive. And of course when you are looking at the free cash flow number you are not really sure of all the costs that have been included. You got to look at each statement. Yes, you are absolutely right. If we look at the oil weighted, on shore companies—and I follow about 50 of them—what you find is that their third quarter results say that they got negative free cash flow of about $5 billion. You know, the price of oil in third quarter was $93 a barrel, so you can just imagine what fourth quarter is going to look like. It is going to be a total train wreck if they were losing money back then. So yea, I look at the same thing you do. I look at free cash flow, the difference between capital expenditure and cash from operations. I look at debt pretty hard too. And debt to equity is an okay measure except that you got to take the company’s word for their equity. I like to look at debt as a function of free cash flow. In other words how long would it take this company based on the free cash flow that it is showing to pay off its debt. Well, if they got negative free cash flow they are never going to pay off that debt. They keep getting farther and farther into debt every year. My view on this thing is that a lot of people don’t fully understand the technical work that I do, and I don’t expect them to. Maybe they say "well, we have read other people’s analysis that are more optimistic than yours" and I say "fine. Let’s put that on the table on the side for a sec and let’s look at"—what you look at, Chris. Let’s look at the cash flows and the balance sheets of these companies because if they are really making – if they are really as profitable as they say then we ought to see it reflected in the cash flows and the balance sheets and we don’t. We just don’t. I wish we could say something different, but these are facts. We have to look at facts. Chris Martenson: Another fact that has eluded me for a while is looking at for instance, the severance taxes that Texas pulls out or the rate of taxation that North Dakota is pulling out or Pennsylvania. So oil gets pulled out of the ground, a portion of that goes to the royalty owner, a portion of that goes to the state. And I look at those state pulls and in Texas they actually did a study where they said "wow, we pulled in about a billion dollars in severance taxes. Hey, over the same period we incurred about $4 billion in road damage, infrastructure damage roads, bridges and things like that." It seems to me that the all-in cost of a barrel of oil if we want to include that socialized part, which is—let’s be clear I think the taxpayers of Texas are subsidizing the business if you are only pulling a billion and you are incurring $4 billion in costs. Is that a fair way to look at it and is it true then that the all-in cost of this barrel is still being subsidized in some way that we haven’t really accounted for yet? Arthur Berman: Sure and I know that you think about the same things I do. I think about net energy or energy return on investment and you are talking about highways and other sorts of infrastructure and typically that is not included. But you know, let’s just look at the physical energy that is – that you have to put in to get a barrel of oil out. Most of this tight oil has a return of something like 5:1. You get back five units of energy for every one that you put in and we compare that to just about any other source of energy if we look at like middle eastern oil it is probably something like 100:1 and most conventional world averages outside the middle east are maybe 30:1. When we hear that the United States is going to be energy self sufficient or we are moving in that direction, we have to be very clear that this is super expensive oil that is being produced. Who bares the cost of that? There are the social costs and the infrastructure costs, but basically what we are seeing unfolding right now as oil prices are down below $50 is the ground truth. The ground truth is that these plays cannot survive on anything other than sustained $100, $90, $95 oil prices and that is the bottom line. So while everybody is celebrating and beating our chests about how we are the best and we are number one, let’s keep in mind as long as the world can afford to pay for $100 oil, maybe we are number one. but watch what happens when the price goes down a little bit as it has right now and you’ll see that no, we’re not number one. And along those lines, if you just look at proven reserves of the world—again, anybody can access this information—the United States is a very long eleventh among the producers of the world, which isn’t bad. It isn’t bad to be eleventh. It is good to finish a marathon as opposed to not being able to finish it at all, but you are not in the top tier. So when we actually look at reserves versus just rates of production – the rate of production is the sprint, the reserve is the marathon. The United States is not a big oil producer and as I said we are going to be out of this stuff in a couple of years. Just today I was looking at the Eagleford shale which is one of the two biggest plays and according to many analysts—in the United States that is—many analysts it is the play that has the most durable break even oil price at low cost. Well, even the EIA shows Eagleford oil production peaking in 2016. That is next year! Where do we get this decades of production? Okay fair enough. The production from the Eagleford isn’t going to stop in 2016; it will go on for many, many years, but at greatly reduced rates of production every year. In this particular case I think the EIA and IEA have it pretty close to right. Not exactly right, but pretty close. They look at the US tight oil plays and they see a couple of years, maybe five years before things start to fall off. I think it is less, but I am not going to split hairs. The point is that what we found is expensive and we have got a few years, not decades, of it. So when we start hearing people pounding the table about how the United States should lift the ban on crude oil exports, well that is another topic if we are just talking about free trade and regulation, but what in the world is a country like ours doing still importing five plus million barrels of crude oil a day and we have got maybe two years of supply from tight oil—what are we thinking about that we are going to export oil? What is that about? That is just a dumb idea. It is like borrowing money from a bankrupt person, you know? It is just – it is like wow, what are you guys thinking about here? And I will tell you what they are thinking about. The companies are thinking it is easier for them just to sell the oil overseas than it is to go through all the hassle of having to blend it with heavier oil and refine it and then go sell that overseas. Any way you look at this thing, Chris, I think you just have to be realistic. And the realistic view is: Let’s give ourselves credit for ingenuity. We have done something that a few years ago probably almost no one thought was possible. But let’s also be realistic. This is the most mature petroleum province on earth. We are squeezing blood from a stone and as long as prices are high we will squeeze a little more. And that’s it. I mean I like to talk about these shale plays as not a revolution, but a retirement party. This is the kind of bittersweet celebration you have when you are almost out the door and are going to sit around the house and watch Duck Dynasty or whatever for your remaining days. It is not really cause for a celebration. It is cause for some sobering concerns and taking stock about what does the future have in store for us as a country, as a world? Chris Martenson: You know, there are a lot of interesting points in there. The one I want to speak to right now is—here is what I hear some people say, they say "look, Chris, nobody really predicted how much and how fast we were going to get oil out of the Bakken or the Eagleford plays and so probably we can’t predict where we are going to find the next source of oil," as if there were something out there more. This is where I get driven a little bit nuts. Here is what I love to do – I went once to Midland and made it to the oil museum there, which is like the Louvre of oil museums. It is fantastic, right? And it is just very clear that geologists have done a great job of mapping all the basins in the world where oil could have possibly formed, right? Sedimentary basins, they had to have the right conditions and then geologically things had to work out. The shale plays really represent source rocks that have been mapped, drilled through, tantalizingly poked at for a long time. We always knew there was oil there. In your mind, is there a next big set of finds that could really surprise us that might change the story? Arthur Berman: There is always a certain unknown out there that gee you know the United States' oil production peaked in 1970 and then Prudo Bay was discovered a few years later and then we had another kind of resurgence of oil for a couple of years, not ever reaching the peak levels we did before. And people say "oh well see there is always something out there." For sure, Prudo is the biggest oil field ever found in the United States. But, again, it’s way up in the Arctic. It’s super expensive oil so it is really exactly what the models of peak oil would predict that once your conventional production peaks, then you are going to be increasingly driven to more expensive, lower quality kinds of sources and that is exactly what we are seeing. The answer then is: Sure, we will find something more than what we have. Will we find the equal of what we found so far? Highly unlikely. Like you say, I mean, these shale basins are not news. We have known about them—the industry has known about them for decades. The big companies have had teams of geologists and geophysicists and engineers studying them for decades and asking themselves the question: "Could these things ever be commercial? At some oil price and with some new technology could they be commercial?" And so when the prices got high enough and the technology arrived as it did with horizontal drilling and hydraulic fracturing companies knew exactly where do go. It wasn’t a big mystery. So will there be more outside the United States? Sure there will. I follow, I mean there is the Shannoff[ph] shale in Russia, there is the Vaca Muerta in Argentina, there is the Duvurnet in Canada and there is probably a handful of others, but are there infinite opportunities? No. Look at all the source rocks that we have in the United States and all of our basins and how many of them actually work? Two. It is the same with shale gas. We got gas that has been produced in every basin in the country has a gas source rock. How many of those plays have been anywhere close to commercial? Five. The subset of what is potentially commercial versus everything that is out there is a tiny, tiny number. 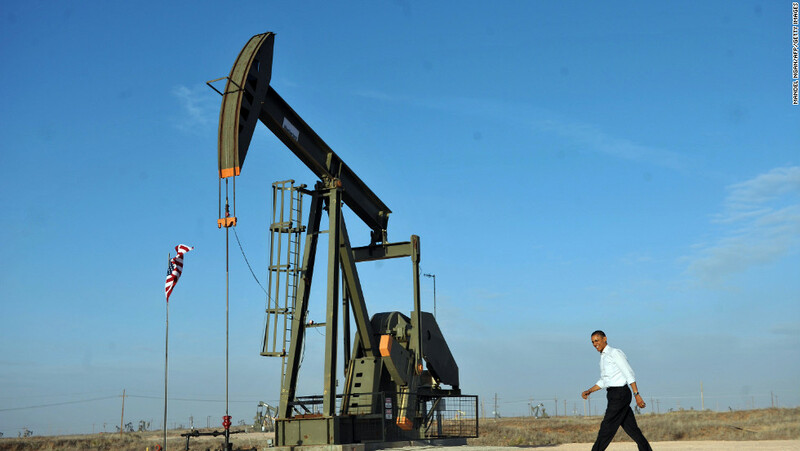 So could there be another tight oil play in the United States? Probably. There's probably one. Will it be as good as the Bakken or the Eagleford? I can’t say because I don’t know what it is. Let’s just say it could be. What does the next one look like? Well, we already know where they are and they are small. If they were any good they would be being developed today. That is the problem. Chris Martenson: You had another very excellent point in there that I just wanted to parse out for people and this is – because this is part of the narrative that gets put out there all the time, this idea of energy independence. This is where I think it came through, Arthur, maybe it was 2010, 11 somewhere in that zone again the EIA switched from reporting on our individual subsets of energy like how energy independent are we with respect to coal, oil, gas stuff like that. They put it all into one spot, measured all the BTUs at once as if they were all equivalent BTUs and said "oh, we are going to achieve energy independence." But the thing that I’d love for you to talk to is this idea of when you mention we are still importing 5.5 million barrels per day, what are the odds that the United States will find a way to produce an additional 5.5 million barrels per day to completely 100% remove us from oil imports and then sustain that level of production? Arthur Berman: Zero, to be just as blunt as possible. You know, if you are talking about crude oil—and that is what I am talking about. I’m not talking about all the add ons that also get included in those estimates, the natural gas liquids and the bio fuels and the refinery gain and all that kind of silliness. But realistically we might see another million or two barrels in addition to the about nine that we are producing right now. That is optimistic. I think it’s realistic. I think EIA is still sticking to its story that we are going to – that US production is going to peak at something like 10 million barrels a day, which is not all that much farther; it is about a million above where we are right now. So the only way that the United States will become energy independent was many ways, but one is that we find another six million barrels a day on top of the 10 million because that is how much we use and I frankly just don’t see that as being a very likely outcome, or we just use a heck of a lot less. We just decide the price of oil is just too expensive and we decide to fundamentally modify the way that we consume the stuff and you know, transport is the big ticket item here. Something like 70 or 75% of all the oil used in the United States is used for driving cars, flying airplanes, you know other uses of basically gasoline, jet fuel and diesel. So we could become energy self sufficient if everybody stops driving around in their personal cars. I don’t see that as being something that sells very well. So there are ways of being energy independent but not I don’t think by producing our way to energy independence and continuing to live the kind of extravagant lifestyles that we do. So you talk then about well, we got a lot of natural gas you know we got coal we got all sorts of other things that we could use. Yea, that is all true. And the technology does exist, for instance, to use natural gas to power automobiles and buses and things like that. But there are big issues that never really get talked about like how long might it take to do that if we decided that we wanted to do that aggressively? And what kinds of infrastructure would be required in order to accomplish that? You know, we talk a lot about renewables and I’m 100% in favor of renewables, but I also have to be realistic. Wind and solar are something like less than 3% of our total energy consumption in the United States. Regardless of cost and technology breakthroughs, adoption is a big issue and we are not going to get from 2 or 3% to 20% next year or next decade. It is going to take a long time. These things take time. And then you start talking about the efficiencies involved. Again, I am a fan of renewables, but on a realistic basis back to net energy, wind is like I don’t know 7:1 in terms of energy out versus energy in and solar is a lot less, solar is two or three. These are much less efficient. Much less dense forms of energy than fossil fuels. As much as I understand and appreciate that some people just really want to get off of fossil fuels as soon as possible, we have to be realistic and we have to look at well, what are you willing to give up? That is really what we are talking about. And I don’t see a lot of people standing in line to stop driving their personal cars. I give talks all the time at universities, and students in universities are very green oriented and they always say "well couldn’t we do this?" I ask the question "okay how many people in this audience drove to this talk in a gasoline powered car?" And like 99.9% of them raise their hands. Then I say "how many of you drove yourself versus shared with a friend?" And almost everybody raises their hand. I say my case is rested. Until this group of very ecologically environmentally minded people start adopting the technologies that get us away from so much wasteful use of oil, first of all, but energy overall, then what possible hope is there that everybody is going to follow through and make these changes? Again, I’m not trying to be pessimistic and I’m not saying that I’m in any way against renewables or natural gas powered vehicles. I think they are all part of the solution. I just think that we got to really be honest and realistic as we move forward because if not, we are going to make some big mistakes. Chris Martenson: I couldn’t agree more and let me also preface by saying I am a huge fan of renewables. I believe in 100 years we are going to be living 100% on renewable energy one way or another. Whether we are all on farms with draft animals again I don’t know – but fossil fuels have a lifespan. 80% of the world’s energy mix right now is fossil fuels and we know that they are finite. So some day they do run out, and we can argue how long that is going to be. I am interested now in this idea of natural gas. The president himself, two State of the Union’s ago, came out and said we have 100 years of natural gas. I’m tracking a couple of these things. I would love to get your expert perspective on this. I know price is involved in this because the all-in price of getting gas – dry gas in particular—out of these shale plays is probably higher than the current price of gas. If the price of natural gas went up we might get more drilling, but I am looking at things like the Barnett Play is the oldest play we’ve got, you know, really intensive drilling by the charts I look at starts in 2007ish, maybe 2008 and it looks to me like it peaked possibly forever in 2012 or there abouts. Is that really the lifespan of an average shale gas basin or is that just a function of the Barnett getting the legs kicked out from under it by low prices? Arthur Berman: Well, I mean all of those things are factors, Chris. But let’s zoom out for a second and let’s just talk about oil and gas plays and basins in general. A shale gas or a tight oil play is no different from 30,000 feet than any other kind of oil or gas play. So you discover something whether it is a field or a play or a new productive basin or a new productive country and in a relatively short amount of time you have found the best stuff. So for a play, any play, to peak – and Barnett really got started with horizontal drilling in 2003 and so if let’s say it peaked in 2012, a decade. That’s absolutely normal, anticipated behavior for any play in the world that is any good at all—and we won’t argue about whether the Barnett is commercial or not, but one way or another a lot of capital was spent drilling a lot of wells. 18,000 wells have been drilled in that play. When you dedicate that amount of drilling to any play, whether it’s tight oil, shale gas, just about anything in the world, 10 years is about it before things peak. It produces for a long time afterward, but at much lower rates. So we look at shale gas and yea, the Barnett has peaked and is declining. In fact, all of the shale gas plays except the Marceles are in decline. So the other four are all in decline after a decade or less. And like I say that is not cause for pointing the finger at shale gas and saying "you guys weren’t as good as you said you were," it is normal. It is what you expect. So the whole shale gas story—the hundred years of gas—it is a really silly number that comes from looking at all the gas that is technically recoverable, which means that again we are back to the Continental Resources or the Pioneer Natural Resources of drawing multi laterals. Yea, you can do that but would you ever do that? No, you wouldn’t because you can’t make any money off of it. If you take every molecule of methane that exists anywhere in the United States and you say: "What of that is technically recoverable if we didn’t care a whip for having to make any money off of it?" Well, you don’t actually have 100 years, you have about 90 years. And some people say "oh big deal, it is about the same." What I say is "gee, when I was in school a 90 was a B and a 100 was an A, so if 90 is as good as 100 then I guess a B average is as good as an A average, right?" Again, that is really the – that is the big, huge picture and a ton of that gas is in accumulations so small that nobody would ever bother to develop it. Underneath national parks, underneath cities, at 30,000 feet—that is what is in that mix. You actually go through those kinds of estimates and say "well gee, what of all that could be a reserve? What of that could potentially be commercially producible?" And you end up with something like 15 or 20 years. Then again, I always go back to let’s look at proven and proven undeveloped reserves as a benchmark. Because if the number you are talking about—if you ___ [00:40:59] but your reserves suggest that you got 10 years and that is about what we have – you have a big problem, guys. You can’t say we got 100 when you are aggressively ___ [00:41:12] proven and proven undeveloped reserves in maybe 10 or 15 years. So we will actually start looking and again, this is publicly available information. The EIA publishes reserves for shale gas and anybody can go look at it. This is not Art Berman’s interpretation. This is what the EIA says. So the total shale gas for the United States at our annual consumption rate of about 26 trillion cubic feet is eight years. We got eight years of shale gas. That is what we got. Chris Martenson: Now I’m going to have to question that because I am looking at a chart right now that the EIA put out as part of its 2014 energy outlook and they are looking at – they are projecting all of the gas that we are going to get out of all of the different formations and they have shale gas steadily getting larger and larger and larger in output from now until 2040. In fact, if I have my little numbers right by 2040 it is producing nearly as much gas that is coming out of shale gas alone as we are consuming today. It is a little over 20 trillion cubic feet. What are they plotting here then? Arthur Berman: They are doing a production forecast. What they are doing is they are saying alright if you take the rate that production has grown in the shale gas plays to-date and you just continue that on into the future with a little bit of throwing in some contingencies, that is what you get. There is a big controversy going on right now—Mason Inman published an article in Nature Magazine in December, which is called "The Fracking Fallacy." And in that article he pointed out that the University of Texas Bureau of Economic Geology has done a comprehensive and detailed study of all the shale gas plays over the last couple of years and their forecast is completely different from the EIAs. The University of Texas forecast says that gas production, all gas production for the United States is going to peak in 2022 and then decline. So Inman pointed this out and there is a third source of all of this forecast work, which is a geologist named David Hughes who used to – he retired from the Canadian Geological Survey and he is currently working with the Post Carbon Institute. He did a similar in-depth, blood and guts kind of every well analysis of every well in all of the shale gas plays in the US. And his number is very similar to the Bureau of Economic Geology, the University of Texas numbers. So when I compare the UT, the David Hughes and the EIA forecast with again proven and proven undeveloped reserves, UT is dead on. I mean it couldn’t be closer if they tried. Dave’s number is slightly higher, but in the exact same general range, and EIA’s is off the charts. So the question that I’ve asked publicly in writing is: Do the guys at EIA that make the forecasts talk to the guys that do the reserve accounting? Because again that is the first question that any kind of realistic geologist or engineer or geophysicist asks. Okay, we’ve made this forecast; how is it similar or different from the reserves we got? Which doesn’t mean if it is different you throw it away, but you know it is a reality check. And I just don’t – I don’t know the answer to this, Chris, but clearly EIA has got two different silos that are looking at different things. As I understand it—and I think I understand it pretty well—the UT study and the Dave Hughes study looked scrupulously at every single well and did reserve estimates for every single well. They did all the economics, all the geology, all the engineering, all the geophysics. EIA doesn’t do that level of work and they would be the first to admit it to you. I don’t even think EIA has a geologist on staff. You know, they do sampling and scenarios. I’m not saying their work is inadequate; I am just saying that the level of detail compared to these two other studies, if I had to put my money – I wouldn’t put my money on the EIA. I would put it on the other two because they have done the hard work and they are coming up with a very, very different answer. You can think what you will about that, but what I ask people to take away is, look, whatever you believe is true, what you should take away is there is a lot more uncertainty around these fanciful projections than anybody wants to admit. And let’s just say for instance that the UT or Dave Hughes study is anywhere close to right. Well you know, we are getting ready to – we are building LNG export terminals, we have already built pipelines to Mexico. I mean we are going to be exporting 11, 12, 13 BCF a day between those two exports if nothing more is approved. And the US produces something like 70 BCF a day. So we have already committed to long-term export of something like 8 or 9% of what we are currently producing today. And here we have got two very credible, third party, unbiased, detailed sources that are saying "we are not going to have enough gas for the United States alone past the early 2020s." And I’m saying like I said about oil, what are we thinking of here? Not that we should forbid people from exporting if they want to do it and if they can get the funding, but you know, let’s think carefully about our long term needs as a country and is this really a smart thing to do? I say no, it is a really dumb thing to do. Chris Martenson: I agree with that so much and boy, I wish we had that rational planning. It is just a strategy, right? What is the strategy? Where are we going, how are we going to get there? What is our vision? What are our resources? It is interesting, I know that it is a fun little tempest in a teapot, I did see how the Department of Energy responded to those studies and they got their knickers in a twist. I don’t know if you saw this, but their response they basically said and I am practically quoting here that Hatsek[ph] one of the chief critics of the EIA methodology was a known associator with the peak oil crowd. There was like an ad hominem sort of an attack rather than a good, solid, point by point rebuttal. But we do need to get the data and have a rational discussion how much resource do we really have? What is it going to take to get it out? What are the costs both near and long-term and then what should we do with that? That is why I love talking with you about this. It is not pessimism, it is not anti-Americanism, it is just reality and I love the breath of reality you are bringing to this conversation. So as we close up here – can the price of oil stay down here at – I will just make a round number – at the $50 a barrel level for a year? Arthur Berman: Probably not. You know again you have to sort through all of the grandstanding that goes on and there is plenty of that from Saudi Arabia as well as the United States. Nobody is immune from that. And the bottom line, Chris is that if you look at the – what are the fiscal needs of the big exporting countries including Saudi Arabia? Admittedly, their production costs are extremely low, a couple of dollars a barrel. But they’ve got – it is the only source of revenue for their country. So all the estimates I have seen say that Saudi Arabia really needs $100 a barrel to balance its fiscal budget. Some of the big producers out there Iran, Nigeria, Venezuela it is even more it is $110, $120 a barrel. There are a few that are less. The deep water producers they need $100 a barrel. The shale players, they need $100 a barrel. The tar sands guys, they need $100 a barrel. So you know, from a very high level you look at it and say well if everybody needs $100 a barrel, what is the reality of $50 a barrel? And the reality is that it can’t go on for very long. And so you know, will oil average $50 in 2015? It could. I suspect it will be slightly higher. I don’t know. I said "suspect," I am just guessing. But the big picture is it can’t stay this low and continue to have as much production as it takes to meet the world’s needs. Chris Martenson: It is absolutely crushing production, right? We are seeing all the rapid retractions right now, but it was a year ago in February of 2014 that we saw all the major international oil companies retract their CAPEX, either freezing or slightly cutting it. That was with oil at twice the price because they couldn’t both support CAPEX and dividends. Obviously, a blood bath relatively speaking today at these levels. So if we take the rest of the world’s conventional fields being in decline at some number, call it 3%, 5, 6, 7% depending on who you believe, that is 2 to 4 million barrels a day that has to be replaced on a yearly basis. We are not going to be replacing it at these levels, right? Arthur Berman: Absolutely—well, we are not replacing it at much higher levels of activity either. But here is the thing that I think people need to remember: Everyone has got really short memories, okay? What is happening right now is not any different except perhaps in degree than what happened two years ago. We had a big oil price drop in 2012; it went from $125 to $90 so it was going from a higher level to what we would call now a high level. You look at the absolute value of the fall and it is not as much as what we have seen here recently, but it is comparable. This happens all the time and the point to take away is that oil prices in real dollars—constant, say, 2013 dollars—were below $20 from 1920 until 1970. Why? Because we had abundant supply. We had more supply than demand so the price always stayed low. Beginning in 1970 for a variety of reasons, we started these big peaks and valleys in the oil price. We would have an oil shock and they would go way up and something else would happen and they would go way down. Well you know, those kinds of fluctuations, that kind of volatility is classic behavior of any commodity that is getting to be scarce and the perception is scarce. The cyclicity of high low, high low has been a fact of life in the oil business since 1970. And it isn’t going to get any better because we aren’t making any more oil. And the other thing I think people should think about is all the very dire predictions about the length and depth of this particular drop in oil price – we are talking about less than a million barrels a day of surplus production. Okay, now a million barrels a day is plenty of oil, but it is nothing compared to what any one of these countries could cut. So yea, Saudi Arabia is I think acting in very clear self interest. I don’t think there is any conspiracy going on here. They are just saying "look, why should we take the hit and lose revenue on production so you guys over in the United States can continue to produce your brains out and make money – what is that about? No, we’re not going to cut. We want you to cut. And since you won’t we are going to help – we are going to let the conditions that will force you to cut persist for a while so that you do cut. We don’t want to be the only ones cutting here. It isn’t fair." That is not what they are saying, but I’m saying it for them. It isn’t fair. Why do we expect Saudi Arabia to control the price of oil for the world? I mean where did we get that idea? I mean they have almost never done that. Bottom line is that I don’t think this particular crisis, if you want to call it that—price crisis will be as long or as deep as many people think, but in answer to your question yes, oil prices could average $50 for 2015. I think they will probably average a little bit higher. But they are going to start recovering here relatively soon, probably in the next few months. Because they can’t stay where they are. And low prices mean people use more oil. They drive more miles. Demand gets stimulated. This is what happens every time. So I think people should look at this as not a – it is not a crisis, it is nothing unique, it happens all the time. If there is a crisis. it is that we just don’t have an abundance of oil left in the world and this is what we see – price cycling is the classic for any commodity that is in scarcity and that is what we are seeing. Chris Martenson: And oil being in scarcity is obviously should be a very, very major topic of concern and I agree with you that a lot of the signs that we are seeing are actually proof of peak oil. But of course you know, with a little burst of ingenuity or high prices—we saw the shale oil story come on and people use that for an excuse to ignore the unpleasant reality of what we are going to do when—not if, but when oil becomes in short supply. Arthur Berman: And that is because nobody wants to change the way they live. Chris Martenson: Right. That is why 99% of the hands go up and say "I drove here by myself." Arthur Berman: Give me a reason why I don’t have to change my lifestyle and I’ll take it. Well, excellent work, Art. Thank you so much for your time today. You have been generous. Where can people follow you more closely? Arthur Berman: They can go in about a week or so to artberman.com. In the meantime they can go to petroleumtruthreport.blogspot.com. That will be redirected towards artberman.com in about a week, again it is petroleumtruthreport.blogspot.com or they can just google Arthur Berman geologist and they will find it pretty darn quick. Chris Martenson: Great. And of course we will provide the link at the bottom of this podcast on our site. So thank you so much for your time today. I hope to do it again and here is to a very interesting 2015. Arthur Berman: Definitely, Chris. Thanks a lot for the conversation. I enjoyed it. Arthur E. Berman is a geological consultant with thirty-six years of experience in petroleum exploration and production. He currently is consulting for several E&P companies and capital groups in the energy sector. He frequently gives keynote addresses for investment conferences and is interviewed about energy topics on television, radio, and national print and web publications including CNBC, CNN, Platt’s Energy Week, BNN, Bloomberg, Platt’s, Financial Times, and New York Times. He is a Director of ASPO-USA (Association for the Study of Peak Oil & Gas USA). He is on the editorial board and a frequent contributor at The Oil Drum, and an associate editor of the AAPG (American Association of Petroleum Geologists) Bulletin. He was past Editor of the Houston Geological Society Bulletin (2004-2005) and past Vice-President of the Society (2008-2009). He has published 100 articles on geology, technology, and the petroleum industry during the past 5 years. Publication topics include petroleum exploration, oil and gas price trends and cycles, petroleum play evaluation, sequence stratigraphy, coastal subsidence, earthquakes, tsunamis, and petroleum geopolitics. He has published 11 articles on shale gas plays including the Barnett, Haynesville and Fayetteville shales. Here's some supporting info on Berman's claim that he sees the drop in oil prices as relatively temporary. This is the second week in a row with a loss of about 90 rigs. That's a huge change - a 25% drop in rigs since end of 3Q 2014, with all of it happening in Dec-Feb 2015. And as we know, shale production is front-loaded, so this should hit the (one-month lagged) production numbers in the next month or two, assuming the companies don't rush to complete all those already-drilled wells. By summer, the effect should be remarkable. Maybe a 10-15% drop in shale production? Perhaps more, if the rig count keeps dropping at this same rate? Here's a chart that shows the average number of rigs added or removed over a four-week period, with data going back to 2000. Note how the current weekly average losses have exceeded losses seen during the 2008-2009 period, when oil dropped to $34/bbl. Chris Martenson: Right away without any question. I will not examine that fact too closely. Thank you. People believe what they are told in the papers, in the main stream news and what some of the "experts" in the field are telling them. The narrative tells them one story and they are then met with derision and mockery for accepting that story. Perhaps "people would change the way they live" if someone were shouting from the roof-tops a different story. Mr. and Mrs. Middle America deserve more than contempt they deserve the truth. you better get the mare settled. a dog, ox or a "mare"
but I'm going to have to go with Arthur and Chris on this one. I'm not listening to the narrative that you refer to and I have not made the changes that will be necessary in the not too distant future. Sure I've made some changes, and will continue to make more, but knowing I can afford the cost of energy at today's prices is enough to keep me from changing my lifestyle too much too soon. I don't believe it is derision when these men point out obvious facts of human nature, that I too am guilty of, as occurred in the conversation. Maybe we all need to take a deep breath before we jump on someone's case, especially someone with proven high moral character. Chris has certainly IMO earned the benefit of the doubt in regards to treating people with respect, and Arthur didn't seem out of line IMO. There's plenty of real disrespect in the world. Let's not assume it when we can just as easily assume the opposite. I doubt oil price will recover due to demand price. Just check BDI, it collapse - where is demand on shipping? This is not a short term issue. Your link reminded me of an article on ZH I read a couple days ago. The shipping index information jogged my memory about the discussion of crude oil production and storage issues, particularly ship-based storage. I thought the commodity strategist quoted had some interesting comments. Sabine Schels: Basically, supply keeps running above demand. The term structure of Brent, which preceded the collapse in prices, continues to weaken across the next 12 months as inventories are building at an alarming speed, setting the stage for lower, not higher prices. However, this new OPEC policy will likely create a large inventory overhang, suggesting further downside risks to oil prices. In fact, we see floating storage coming into play over the coming months with roughly 55 million barrels building on ships by the end of 2Q15 as land-based inventories across North America, Europe and Asia fill up. But even floating storage is limited by its very nature. If crude vessels fill up, shipping rates will spike; and that is unlikely to help any oil producer in the world. I don't know, I think Granny does touch on a good point. We here have chosen to "believe" a certain narrative that most others reject. Why is that? Because of our predisposed nature, or maybe because we have particular insight that makes our "beliefs" more than just beliefs? But what is the average person to believe? While it may be obvious to people like me who have really looked into the issue of environmental limits and over-consumption with considerable authority and detail, most people don't have that to go on. They simply choose which narrative to believe, and it's easy to believe the one the mainstream is telling them, especially since it reinforces greed. Twice now I have had friends bring up Penn and Teller's Bullsh!t series, the first one was the episode debunking organic foods, and just the other day another person brought up the episode debunking recycling. To tell you the truth, I haven't seen those episodes but I probably should (better things to do with my time right now), but based on what my friends were saying it seems P&T have overly simplified complex subjects down to a few simple messages that may be too simplistic to be relevant. I saw the anti-environmental hysteria episode and that is clearly full of bullsh!t so if that's representative, why watch more. The point is, why are Penn and Teller experts on understanding such wide ranging issues? I think that may be part of the problem today, everyone thinks he's an expert, on everything. I'm not saying I agree or disagree with everything P&T say, I actually agree with some of it (but not to the extent that I'd make movies about every one of my opinions and market them as gospel), but seriously, just because they are respected entertainers, that gives them the qualifications to get up and basically tell everyone that all's OK, just continue doing what you're doing, continue consuming to help the economy? That's basically their message. Well, they are members of the Cato institute which is funded by some nasties like the Koch Brothers. Is the average person going to look this up when they decide which voice to believe? I think my friends are totally clueless when it comes to what's happening in the world. And they refuse to even look at arguments which may suggest otherwise. Is it because they are bad people? No, they are just predisposed to believe what the mainstream wants them to believe. That's the problem we are up against and ultimately will be the downfall of humanity. Anyone else find the term "Lethal Aid" dripping with cognitive dissonance? It rhymes with legal aid which evokes images of helping the poor and downtrodden fascist Ukraine gov't. Is it really a catch-22 situation? Knowledge is power, as they say, but I'm beginning to feel the advantage to all this knowledge is not going to be all that helpful. I hope this isn't the wrong thread to post this, but I think it's relevant to the info provided. I've been watching Chris and others now for years and taking notes on the big picture behind the scenes and scrutinizing 'what can I do'. You see, we had the rug pulled out from under us when that last 'housing crash/crisis' hit. We hadn't been paying attention and had NO CLUE what was about to happen, and when it did, we were vulnerable - and I swore, "never again"! The suggestions for self-sufficiency Chris advocates seem practical - and we have been making strides toward it (with chickens and a greenhouse,utilizing all kinds of different growing techniques like hydroponics). We've been employed the entire time with our own PC repair biz for over 10 years now (no overhead costs), and it saved us at the time were thrown into that first shock. We did fight the great fight (for 3 years) to save our home from the predatory lender and an illegal foreclosure... but in the end, we were defeated. Now after all the different stages of grief to acceptance, and another year focusing on homesteading efforts while renting... I see an awful lot of flaws and cracks in the logic of this self-sufficiency and preparedness. Not saying it's not worth it to try (after all, what else can you do??? ), but first, unless you have significant means at this moment - a minimum of good credit and income, you're probably already so marginalized, that another drop in the economy will shift you completely off the cliff... and chances of successfully becoming self-sufficient are slim. I just finished watching the extended interview featuring Richard Heinberg - the Bonus Interview footage for the documentary "What a way to go - life at the end of empire". No new info on the oil situation if you've been watching and listening (thanks Chris, et al! ), except that the closer it comes, the better they are able to give detail to 'the conundrum'. Arthur also says things are getting "critical"- but EVERYONE with this info is still stumped as to when and how it will hit us, what to expect, and how to respond... except to 'prepare'. Somehow. There are several suggestions that sound practical, if you CAN manage to get into a secure situation. We are all either renters now, or WILL be renters, IF we are and remain lucky... I'd say, we're all pretty much out of luck in getting such a secure situation. Arthur Berman (and the U.S. Army, and a recent study from Germany...) all say we will see definite signs of oil limits and gas price shocks by NEXT YEAR. I imagine at first, the 70's type lines at the pump (and you can only get gas every other day, depending on your license plate number), PLUS an unaffordable price continuously going up. But just look at the current situation happening at the west coast shipping lanes... one dock-worker's strike and we are all suddenly vulnerable to lack. It IS survival. So let s say we have one year to get ourselves set up for a sudden lack of food (and more) on the store shelves... or exorbitant price gouging on gas and utilities, etc. One year to be prepared for the likely coming of collapse-inducing shocks and inner-city chaos and who knows what. The petrodollar as well is currently at risk; and that means the dollar itself. A currency collapse is just as likely as oil shocks - and most certainly sudden shocks like banks closing or stopping credit. One could cause the other.... and either way the ships and trucks won't be running. The potential of any of these risk scenarios is a total breakdown of society and supply chains. Not a slow burn like we've seen in Greece the past 4 years, although there is a slight chance of that (if Detroit's demise can be called a slow burn). The city offers little for survival - an apartment balcony garden will not cut it, even if you can protect it? How long could that situation hold as things continuously break down (even if slowly)? I see Detroit-ification of every big city. The banks foreclose and let the houses rot. So where will those people go, with no money and no job, (even if they could still receive EBT/SNAP handouts)? The advantage of rural locales is simply the space between you and those who are looking for resources to survive on. But on the other hand, you're alone to face whoever may overcome that space. Best case there is now, is that you even qualify for a bank loan (and don't get stuck in a predatory loan), then eek out enough of a living to keep up on the payments, while building it up constantly for self-sufficiency. (You could spend 10 years & all your money setting up the ideal homestead, but 3 years is a necessary minimum to get all the kinks worked out of your learning curve). You might muddle through given 2 years to do it, but you'd better know what all you will need and be able to GET it before things fall apart. Then you pray that the weather holds out and that your neighbors aren't eyeing your efforts while taking the easy way - by just stocking up on ammo. What I'm seeing is that this knowledge isn't really conducive to hope. I've heard over and over that HOPE IS NOT A STRATEGY. But what is a good strategy? You're not only fighting uphill to GET secured now, somehow... but then, you're really risking it all for the path you decide to take for your future long term survival. And good luck keeping it. You're risking all your current resources, mental energies, and all your personal motivation and reserve, and it's all for a possible catch-22 situation. What advantage does the knowledge give us? I see our situation unfolding much like the collapse of USSR (info from Dmitry Orlov). The Russians had more advantages than we currently do (other than we've had more reliable utilities) - for instance they had warehouses full of food along cross-country rail lines, and many towns were also near the rails. Those who were rural had animals and knew how to stock up for winters, and still, millions died of starvation. Maybe this is just another stage of grief and I don't recognize it... but the more I understand (or think I do), of the coming situation(s), the less hope I have that the knowledge helps in any efforts we are making. I saw this in Richard's interview as well, at one point advocating 'getting skilled', and then in being willing to teach those skills or make those things (like leather works)... you'd be valuable to others. Anyone fell BETTER about their situation having learned more about what's coming? Does it help you to see a 'best plan of action' to come through any of these impending collapse scenarios? I came to the same conclusion as well. I just finished reading Matt Taibbi's latest, The Divide. Blood-curdling stories accompanied by sleepness nights. It appears to me that even if you do manage to align everything perfectly and the unprepared hordes don't breach the walls, the legal rules will change and the "justice" system will take all away anyway. Corporations are the favored few now and humans are the unwanted/unneeded...how did Kissinger put it?... "useless eaters". I tried to avoid getting into the scary stuff like that. On the one hand we want to stay strong and live without fear of oppression, on the other hand it feels defeating already, as we see more and more laws passed that are not in our favor. But, some information is dis-information and it's hard to discern what's real, factual, and just fear-mongering - one reason I listen to Chris, because he doesn't do that! Still, it seems there is little REASON for hope. This life has already changed from where it was (or, where we all THOUGHT it was) even 5 years ago, and it leaves me breathless, like the first time I watch "Life at the End of Empire". It provokes much un-ease, but I don't count it as fear-mongering, it's opening your eyes to things that you already know are below the surface (IMHO). I think it's possible that the Greeks have had it GOOD in comparison to what's coming to us... and looking at their situation, how could you really prepare for any of it, even if we think we know what's coming? I have read that in Greece they were paying rent to live in caves until the Gov't kicked them all out. They told the 60% unemployed youth (under 25) to migrate out of the country to find work. (Imagine the 55% unemployed youth in Spain - yeah, they probably liked all those Greeks flocking over, like we hear complaints of the illegal aliens 'taking our jobs'. Only there are no jobs 'to take', in Spain.) Families with kids lived with their elderly parents who had a pension coming in... and then they cut the pensions. Many people in the medical fields went 6 months without pay (then they gave up and quit). Just before the latest election and new President, the teachers were asked to 'volunteer' their time teaching, and told it would help them secure a paying position - above the other applicants- after things got better. You know, when they get all the loans paid back, right? Meanwhile their countryside is filled with paid-off family farms, and they can get around on little motor-scooters, and fish their ocean for food, too! I can definitely empathize with you. Sometimes I think it would be much easier psychologically to have remained a sheep, staring into the newest smartphone and keeping up with the Kardashians. But, like most here on PP I imagine, I am intellectually curious, which led me out of my ignorance. Now the toothpaste is out of the tube and can't go back. Knowing what we do now, I can't bring myself to ignore it. And Although knowing doesn't necessarily make me feel much better, I don't regret it, for multiple reasons. First, although we know hard times re coming, we don't know how fast they'll come or how just how hard they will be. Recent history (Argentina, Greece, etc.) has demonstrated that the tough times are quite survivable (even profitable?) for someone who was relatively prepared. Second, i really like Chris's advice to "Become the change you want to see." If the majority of Americans would reduce their debt and consumption, produce some of their own food, etc. we could substantially minimize the impact of the upcoming change. I realize it's unlikely that the majority will do so, but how can influence others to do it if I don't? Last, I consider the lifestyle changes my wife and I have made to be positive regardless of future events. We made changes much like Chris's and although our income has been dramatically reduced, we are both happier, healthier, and less stressed than we were when were living the so-called American Dream. Plus, let's say the PTB can somehow stave off the big reset for another generation or even two. My PV system will pay for itself in 12 years. We love watching our chickens and enjoy eating fresh, organic eggs. It's a great feeling of satisfaction to watch our garden grow. We still have a long way to go, but for two lifelong suburbanites, we feel pretty good about our progress. so, despite the fears we have about what could happen, we are very glad to be doing what we're doing. I know that's not exactly the ideal answer to your question but I hope you can find some encouragement in it. Living a fulfilling life now. Multiple thumbs up Trun. Fear be damned! I feel like I'm standing on a soapbox on a lonely corner, or beating the horse to death here (manner of speaking) because I hold firm to not feeling I have a reason for hope. I'm not sure which video of the Napolitano because my husband had it on, but it was at the Mises institute. All of these things are hard to listen to, because it reverberates the fact that things have already changed and we're all being pulled along in the middle of it, without direction of how to get out of it (except whatever it might be, it certainly won't be as easy as retiring to a remote homestead). A passionate plea against passivity and a motivational call to take a stand against evil. Trun, we have all the eggs we can eat (spending much more for them than at any store, because of the price of chicken feed - $16.50 a week, so I am selling some eggs to cover costs, but still)... and hopefully we'll get a rental house long enough to garden something again, but your situation seems to be vastly different than ours, not as secure. I wonder how you can feel successful in having that situation. Perhaps you're retired or semi-retired? I would like to explain WHY I don't feel hope in just having a little hobby farm in our rural location. First, it's not just for us. We have 5 kids all between 25 and 32, and 4 grandkids (with one on the way and another planned) amongst them. This is the main source of despair. I might be happy with a little homestead life, but I'm in my 50's, and done with everything in the outside world (so to speak). A breakdown in public support systems will come as our financial system shocks everything. The promise of the American Dream is now all but gone, and now we're seeing stagnant wages & loss of bargaining power for the high-demand jobs that remain. The jobs available that still pay a living wage are mainly in the various engineering, healthcare and bio-sciences, and PC sciences. But after college you're saddled with thousands in debt, even if you were working full time (maybe made worse because you were working to support your family, and not given grants). I do not think healthcare services here will continue running smoothly when everything else is falling apart. How would medical supplies be shipped (or even manufactured with all those oil-dependent plastic things)? Who will loosen the credit lines for the hospitals and pharmacies, when the banks are not even lending to each other (if there's even just a credit crunch like in 2008). Look what happened in Greece! If the dollar collapses, and we have hyperinflation (as John Williams at ShadowStats, and others see coming), who can afford their Obamacare premiums or deductibles? How secure then is that future job or pay, when the private industries are all beginning to pay individuals as contracted workers with 6-month contracts and no benefits? The media, science, machine, and tech industries all rely heavily on the grid (as well as other volatile commodities). I don't think the grid (or internet for that matter) will be reliable, nor affordable in the future, either. So far the pay is still decent and there are many specialty avenues, but many PhD's are not working already... I have heard that some are even on foodstamps. How secure will that garden be when the stores aren't getting deliveries? (Very few can afford to move out into the country). For me, and you, it's rewarding to simplify and get out of that rat race, but for the young, it's the last thing they want or can even begin to afford. Right now there is a 50/50 chance at reaching the old beacon of promise we all could expect to reach (The chance comes if and only if, the collapse comes slow or is staved off a few years). spend all energies on 6 years of school, which may end up to be a dead-end career when they finish, while going into vast debt, OR be 'voluntarily poor'- trying to make ends meet with various low-pay service jobs, with nothing to move up toward. And how can I TELL them "hold on to hope, because... uh, because that's what we do". And at the end of all these efforts, for the young most especially, there is the ever-increasing drumbeat of war, and an oppression in our own land, too. Things that Lunableu22 spoke of, and Chris Hedges and Judge Napolitano (and many others). It is no small thing because it's not going to leave any of us untouched. A precious homestead is not going to keep it at bay. You cannot build a strong enough wall (to battle property and other laws changed by the big corporations - always only in their favor). Or maybe they'll just pollute your fresh water source and walk away. And that's what drains my reasons for hope, though I love the homesteading/hobby farm life, such as it is. At this point, I feel it's only a hedge against financial hard times or supply-chain problems, and little more. Cherihuka, I hear what you're saying but a new world is coming. Thriving will take a whole new mindset. Here's one example; How many people - particularly elderly - are on vital medication? How long can they hope to last after a major infrastructure collapse? Do any of these people own / occupy desirable real estate? Do you think there could be some vacant properties in future? Possibly just waiting for someone local to move in?? We moved to a rural area 4 years ago. We have a significant mortgage that has no real liklihood of being paid back given the Predicament. We have a fairly small property with larger farms surrounding. I'd love to have a bit more land for animals but even now neighbors let us have grazing in return for helping on their property. My one piece of advice is to put yourselves in a position where things can happen for you. And if you can see the possibility of a positive future this will help pull you through. Cherihuka, on reviewing this comment I can see it may come across as quite harsh - which is not my intention. You have a family and naturally deep concern arises for them. In fact, I'm agreeing with you that what is coming down the line is likely to be very harsh indeed. And despite this I'm still suggesting preparation and mental positioning can potentially transform your future. I choose my worries very carefully now. I am no longer worried about a rapid collapse, anarchy, zombie hordes. I feel that the powers that be have WAY more control over what appear to be random events, than we can know right now. I differ with many posters here in that I feel there are technologies, in the offing, ready to be implemented, as oil becomes more and more volatile a commodity. I had an über doomer scream at me a few weeks ago about American elites, "They're weak. They're desperate. They'll never succeed!" Really? What does he think all of the advanced computer modeling systems are for and does he think NSA sits on their hands and let sensitive and useful data fall through the various info sieves they've created? I'm not disputing your fear regarding employment opportunities. It's atrocious and there doesn't seem to be an easy answer for people just starting out. It's horrible. I feel for them and specifically for your family. But your fears of all out collapse have to be weighed and measured against the very real possibility of black swan events of a positive nature. They happen, too! Not raining on your parade, just suggesting that even the experts are operating in a fog of limited information, so prepare as much as you can without causing yourself undue stress--and don't give up hope. Thanks davidallen, for the first laugh in a week, and a good one on myself too! I didn't mean to sound like one of those pity party people, but I worry for us all - not without reason, if you count the recent past where we lost everything because the system (say it nicely): isn't working for us. Now there are many voices with signs of "worse to come and soon". Loss of oil or affordable oil/gas seems like the worst of all - it greases the wheels of all commerce, and so, (barring the sudden 'discovery' of an alien technology for limitless energy), I expect EVERYONE will be facing what we just went thru. We would count ourselves fortunate to look very much like the Greeks (and not worse). It wasn't sudden collapse for the Greeks but they still could not save themselves. All it takes is another credit collapse and it could get maybe as badly as you spoke of, where masses will starve - just as happened in USSR when it fell. And that's kind of what I'm picturing, but with more shocks because so many Americans are now dependent (EBT/pensions/SSI), and the rest of us depend on that oil to flow reliably and affordably (and without easy credit, trucks and dock worker strikes would stop everything). Did you mean that our best chance for future survival opportunities may arise from scavenging from those who met their demise? I can hardly look forward to that outcome, but if we must all be so pragmatic, (in basic survival terms) then you'd have the same issue of protecting it. I don't see how you'd get around that. I am not entirely convinced that the crazy financial things going on, in the hands of TBTF /TPTB, are in competent hands -IF they do have control - but it's scary either way. I know from experience how that won't work in our favor, and please, see link below for another example that has national repercussions. Could you point to some kind of example of a good black swan? I'm stumped, but would really like a reason for hope. It really wouldn't take much. Not trying to have the last word, so this will be my last word (because I do really appreciate everyone's point of view on things), but the odds are really stacked against us. "...Sen. Elizabeth Warren (D-Mass.) is calling on the House to strike the Citi-written language from the spending bill. "I am disgusted," Rep. Maxine Waters (D-Calif.), the ranking Democrat on the House financial services committee, said in a statement. "Congress is risking our homes, jobs and retirement savings once again." Rep. Alan Grayson (D-Fla.) issued an even more dire warning, calling the bill "a good example of capitalism's death wish." Cheri, you started a very important thread. I've seen "What a Way to Go, Life at the End of Empire" a few times and I've viewed "Blindspot" even more often. Another one that comes to mind is "The End of Suburbia." Carolyn Baker (whose views of the future are as pessimistic as Michael Ruppert's) wrote that she is not a survivalist, because survivalists make survival their first - and last - goal. In that line of thinking, I haven't done some of the usual "preps." Most notably, I haven't purchased guns and ammo because it seems to me that if everybody needs those things to survive, we no longer are likely to have a world worth surviving in. And Nate Hagens has pointed out that the survivors of our upcoming crises will be a lot better off if those of us who know it is coming don't go the way of "gold and guns." He made millions but now he's walking the talk, working a farm with rather primitive technology. Brings me to a youtube video I saw earlier this week. Some former Wall Street functionaries were talking about the hard times they realize are coming and one said that it'll be the areas that rely the most on the stock market and other such markets that will bear the biggest brunt of a major and long-term crash. Maybe that should be obvious. I suppose Chris Martenson has said that in many ways. But what I understood for the first time is that there will just be a lot less money overall sloshing around in areas where a lot of people have investment/market related jobs. Plus, he noted that if you live an area where many people derive their income from the markets, you'll be living among a lot of very aggressive people when the crisis hits. How exactly it will play out, we don't know. I don't see anything positive in creating or watching youtube rants - which is what Stephen Molineaux was doing (in the 2 minutes that I was watching), just ranting... but he is completely correct in the sense that if everybody takes responsibility for the future we can have a much better one than if people only look out for themselves and their immediate families. I wonder how Americans will end up behaving? "'Nate Hagens has pointed out that the survivors of our upcoming crises will be a lot better off if those of us who know it is coming don't go the way of "gold and guns." He made millions but now he's walking the talk, working a farm with rather primitive technology." He's pretty smart to get out of the rat race while he has a chance to get set up (for the worst-case scenario.) But, who with their eyes open wouldn't do that if they could afford to? I heard that the 'elites' are supposedly planning to build personal air strips on remote farms in New Zealand to outrun the collapse - and ensuing pitchforks here. The problem I see, is a situation where peace-loving farm folk (like the Amish, or Nate) being overrun by crazed, starving, and loosely organized gangs of "zombies" - in other words the true survivalists or the 'smart ones'. I see a lot of crazy people who do not care about others already. Hunger does that to good people too. I think anyone who sees collapse of the economy, (or crash of the petrodollar, or a crash in bonds or a spike in interest rates, or a spiraling deflationary depression...et al), as affecting mainly or only financial sectors like 'the market', as hugely ignorant. I'm not very good with math, I even had to drop my freshman 'Business Economics math class, but it seems fairly obvious that things are only being held together with paperclips of deception right now, and a credit freeze, or any of at least 8 other similar kinds of 'financial-centric' things, (or maybe even a cyber attack) will stop normal commerce. Once it stops, it's hard to get it back up and going (per FEASTA's study --http://www.feasta.org/documents/risk_resilience/Tipping_Point.pdf ). I watched a GIANT solar flare erupt from the other side of the sun just a day ago...so big it was astounding! It could have easily happened on the earth side and put us all back into 1850, and we'd have about a day to prep for that. It could still happen any time, whether we're in a solar max or minimum - it's totally unpredictable. I would hope to be prepared for such things, but we cannot be prepared for everything, and no one has the answers for sure, and it's all a risk of one kind or another. Will the current oil price crash turn around and become priced too high ... or perhaps end up being 'the trigger' that brings countries and societies to their knees - or eventually be the underlying cause for WWlll? Will people revert to their base instincts... or carry the American ideals forward? Will millions die like happened in USSR's collapse? Will the cities be locked down by the Nat'l Guard and the country put under Marshal Law? Will ships quit bringing goods, will trucks quit delivering... and will climate change rear it's ugly head and end up ruining all our plans? Will it get as bad here as it is in places like Yemen now (a true Mad Max reality there)? There are lots of reasons to fear the future, to try to prepare for it, but a lot of those reasons leave very little hope for society over the short or the long term. And we may want to bow out of civilization when it's loses it's civility, but I think everyone remembers "the Donner party".... they survived and lived to tell the tale, but oh, can you imagine having to live behind their eyes each night? I kinda wonder - if on a long enough trajectory, after everything finally stabilizes, if Americans wouldn't end up like the Celt or Apache societies... pockets of organized chiefdoms(?). And I wonder if a breakaway civilization will exist on Mars simultaneously. Yes of course I have the same questions and even the same fears as you mention. But is it productive to worry constantly? We could, of course, all just give up and kill ourselves - there would be more resources left for the survivors then... Fact is though, we don't - and we won't know how things will turn out. Sure, the world might be unlivable at a future time, but I'm not going to give up on it now. I think anyone who sees collapse of the economy, (or crash of the petrodollar, or a crash in bonds or a spike in interest rates, or a spiraling deflationary depression...et al), as affecting mainly or only financial sectors like 'the market', as hugely ignorant. Say there are 2 districts. In one district 40% of the households derive all their income directly from the stock and bond markets. In the other district, 5 % of the households derive all their income from those markets. (Yeah this is oversimplified, but please bear with me.) Let's say I have a roofing business (or almost any business might work as an example). Well, If the markets go to zero, the district in which 40% of the people are directly dependent on the markets will have a lot less money to pay for a new roof and there will be a lot less work for me. Even in the other district, there will be less money, but there will still be a lot of people who won't bug out or try to sell their house just because they have a leak in their roof. That is what will happen in the wealthy suburbs around NYC, right? I mean, a lot of people there depend on the stockbroker types indirectly... those rich investment professionals are the customers for a lot of people in many lines of work. So the possibility that you'll need/want to bug out of the NYC area are, admittedly high, I think. But I expect to be able to remain in Fond du Lac, Wisconsin for the foreseeable future, at least my chances are a lot better. Chris Martenson says he's living for today and so am I. I do expect hard times to come. But some of the things that are bad in the sense of immoral (or greedy) will actually cushion us from the horrible blows we're going to get. They say that in the US 50% of our food is wasted. That percentage won't be nearly so high post-crisis. People will learn to eat what they are wasting now. We are so spoiled in this country and we've been taking the fossil fuels of other countries - and going to war to keep it that way.... Not to get too political, but the topic of peak oil itself should make us accept that we Americans have been living at a higher standard than anyone in recorded history, so should it be a surprise that it cannot go on forever? Anyway, it was nice to meet you online Cheri and to answer your other question, I paddle a whitewater kayak which is the Blade, made by Pyrannha, hence my screen name. ...and he gets it. However, he raises his arms up and says " how many drove here" blah blah blah when I think he should pound home his ideas of change that could help move the narrative to one of " be the change you want to be". CH Smith does this consistently and has effected my actions more than anyone. More with less is the motto I have attached to his teachIng. Our shale oil industry has positively effected our national securIty, jobs, keeping the cash home and resulting in King dollar and much lower gas prices. I say Yeah Baby as smiles have returned to the over burdened faces of family and friends. Why we don't tackle the development of a smart grid, rail, natural gas and the Keystone pipeline is a mystery to me. Have utility companies put up solar on every roof to those who want it and watch the economy flourish. That would change the narrative and our collective psychology for the better. We have to retool all our grids anyway's so be smart. I have hope. Why? I live on less than $35k a year where Iused to live on $70k and I live better. Thanks Charles for the push.